Charles Geneviève Louis Auguste André Timothée d'Eon de Beaumont (1728-1810), Diplomatist and transvestite. Sitter associated with 18 portraits. Jean Laurent Mosnier (1743-1808). Artist associated with 2 portraits. Thomas Stewart (1766-circa 1801), Painter. Artist associated with 4 portraits. 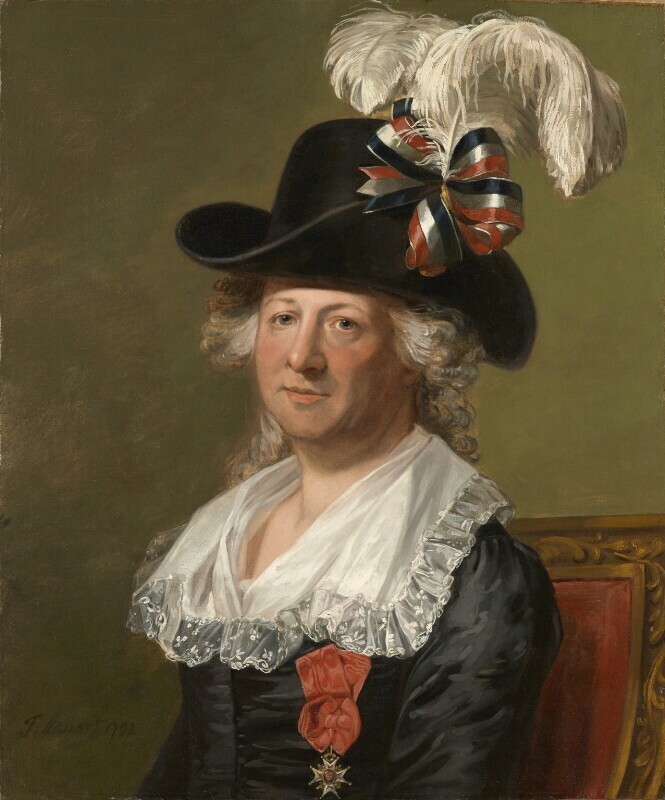 Popular prints show d'Eon fencing in a black dress such as the one in this portrait and, as here, d'Eon wore the Croix de St Louis, awarded for diplomatic service, during these fights.